Officials fear another cyberattack in the wake of the DNC intrusion. camera (Brendan Smialowski/AFP/Getty Images) A poll worker waits to give a voter a card necessary for electronic voting in Stark County-Beach City, Ohio on March 15, 2016. Officials and security experts have raised concerns about potential Election Day cyber vulnerabilities amid reports that hackers -- believed to be from Russia -- breached the Democratic National Committee's (DNC) computers last month. On Monday, the Ranking Member of the Senate Homeland Security Committee called on the federal government to examine its efforts to protect election systems and voting machines in the United States against similar attacks. “Election security is critical, and a cyberattack by foreign actors on our election systems could compromise the integrity of our voting process,” wrote Sen. Tom Carper, D-Del., in a letter to the Department of Homeland Security (DHS). The DNC intrusion raised concerns about the ability of foreign actors to interfere in the American political process, including through cyberattacks targeting electronic voting machines or the information technology of state and local election officials, wrote Carper. The senator said that while the risk of voter fraud and a successful cyberattack is remote, the federal government can play a role in addressing the potential for these types of attacks. The official designation would make it easier to unlock the department’s resources to help local and state jurisdictions, according to a Senate aide. In response to the DNC hack, CIA Director John Brennan said, "if there has been some manipulation of the election process here, this is going to be something that this government and our country is going to have to look at,” during the annual Aspen Security Forum at the end of July. He said the nation will have to look at "what the vulnerabilities are to the system out there," and some places may decide to go with paper ballots. But he said the country should focus on strengthening the cyber security of the relevant systems. "[The DNC hack] points out a number of imperatives for the Congress, and chief among them are ensuring the integrity of the election itself,” said Rep. Adam Schiff (D-Calif.) at the same conference. There are currently more than 9,000 different voting jurisdictions and security varies widely among them. 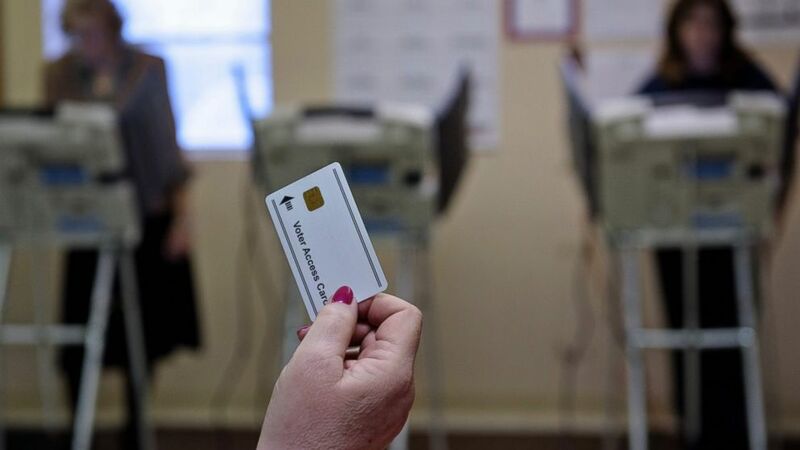 Forty-three states are using electronic voting machines that are at least 10 years old, “perilously close” to the end of most systems' expected lifespan, according to a report by the Brennan Center for Justice. In many cases vendors no longer serving the machines and as a result election officials are “basically jerry-rigging” these systems, said Larry Norden a deputy director at the Brennan Center. “If you have a system that has a lot of reliability flaws, those are security concerns as well,” he said. People imagine votes are going to get switched, but there’s also the threat of denial-of-service attacks, which could result in long lines or voting disruptions, said Norden. However, Norden points out that a lot of progress has been made over the past ten years, moving from electronic-only ballots to ballots with a paper trail. This November 80 percent of Americans will vote on with paper ballot or machine with paper trail. A paperback-up is an important deterrent to make sure bad actors don’t hack the machines or infrastructure, said Norden. Lee Ferran and Mike Levine contributed to this story.